Diary of a collaboration. Day 4. 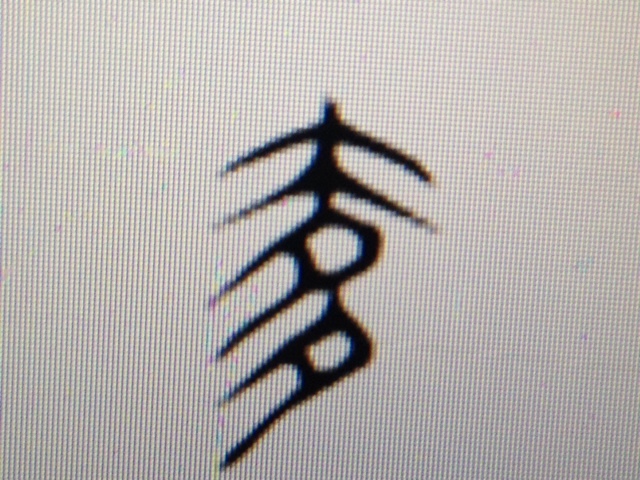 As one of her possible starting points for generating material, Jing Okorn-Kuo suggested old Chinese characters – as imagery to dance/work from; as a starting point for dynamics spatially or between characters. Yesterday evening she and I explored some of the old characters for ‘wealth’, including the one above ‘she’ for extravagance, excess. 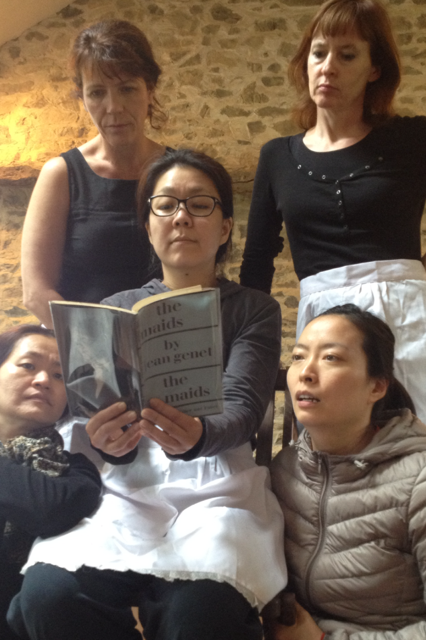 Our project, (Playing) the Maids is not a production of Genet’s text. We are using that as a diving off point, identifying themes and issues for possible content. 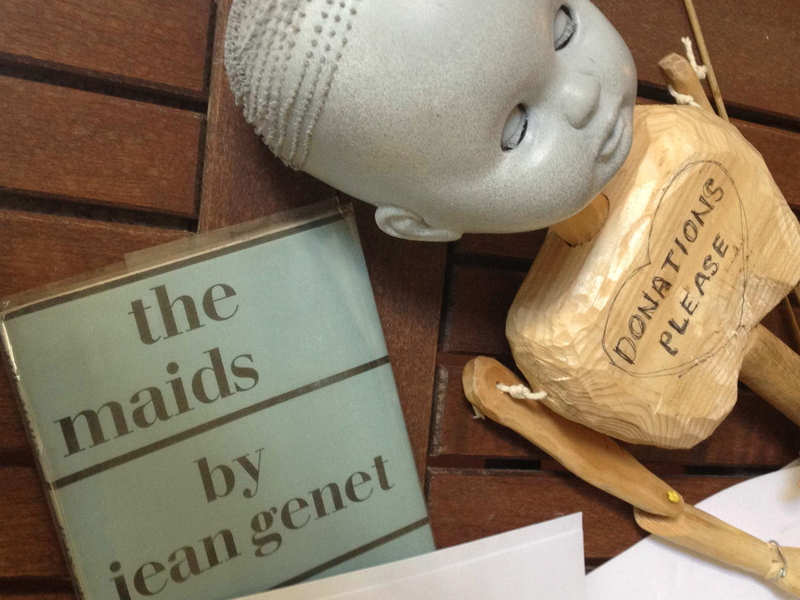 Wealth and the opportunities it brings is one of the differences between Genet’s Maids and the Madame, and something Jing (playing this privileged Madame figure) was keen to explore. This starting point led overnight to some text I wrote, informed by the meanings and imagery of the old Chinese characters, and several movement sequences that Jing developed. 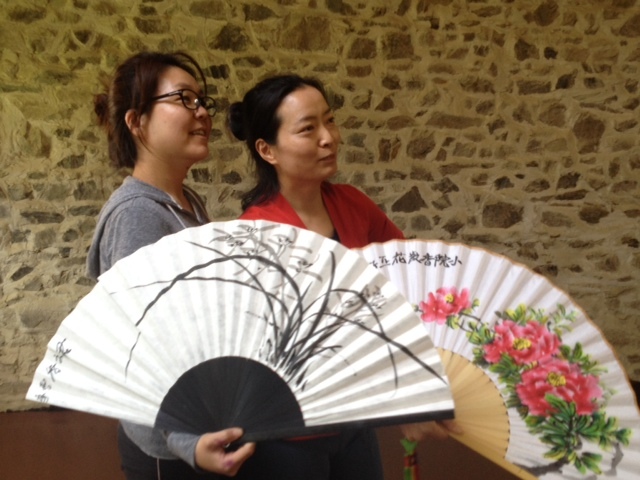 We started playing with these this morning, alongside a bilingual script Phillip Zarrilli, Jeungsook Yoo and Sunhee Kim transcribed, edited, and translated into English from the original improvisation in Korean they had made earlier that day. We are documenting everything as we proceed in this intense period. 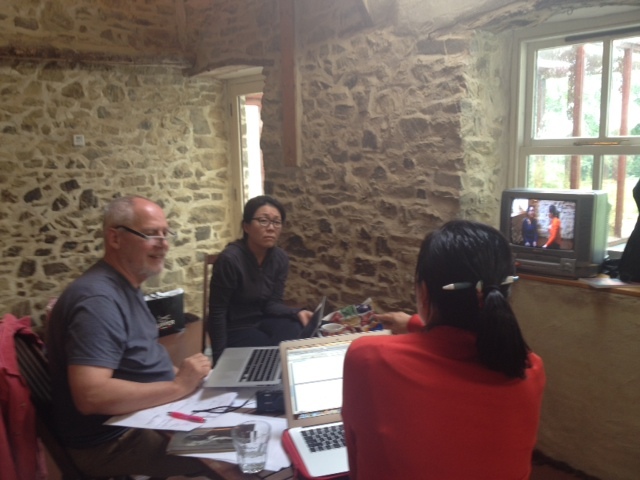 I film, photograph and notate each structure, and my colleagues all have their own way of noting their work. This will be essential now in this next part of our process, as we begin reviewing, revising, editing, and rehearsing the many sequences, scenes, and structures we have explored so far. 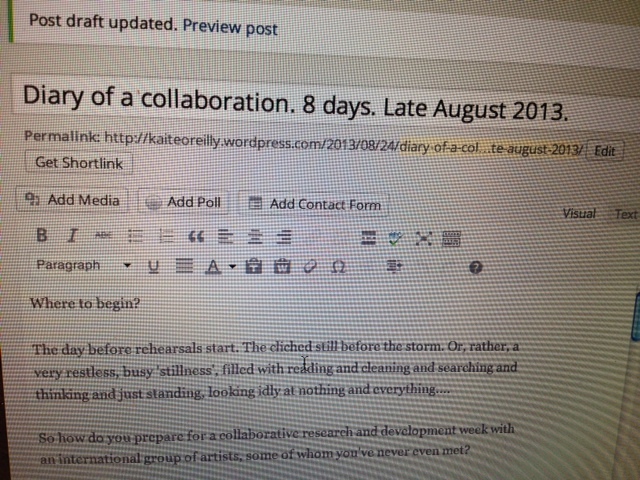 Diary of a collaboration.Day 3. During our previous two days collaboration, we shared song, sounds, music and dance representatives of ‘Madam’ figures from our respective cultural backgrounds; we’ve explored initial texts generated by individuals of the ensemble in response to the stimulus text (Genet’s The Maids); we’ve made physical and text-basd improvisations in response to the sound environment Adrian Curtin and Mick O’Shea created, and in response to themes such as ‘siblings’, ‘servitude’, ‘distance’ and ‘intimacy’. 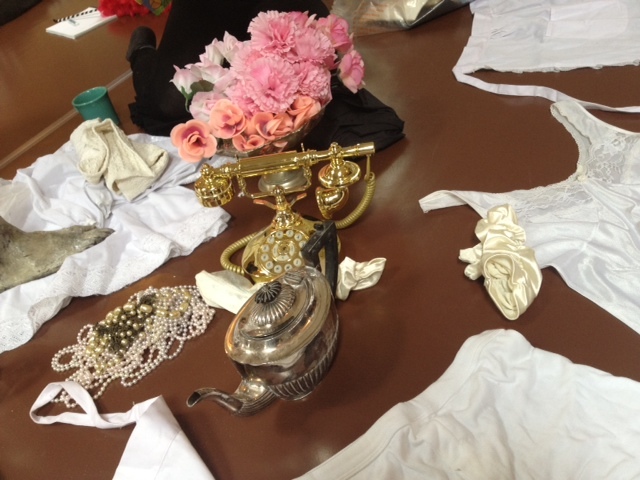 This morning we begin with the starting point of props, puppets and costumes. 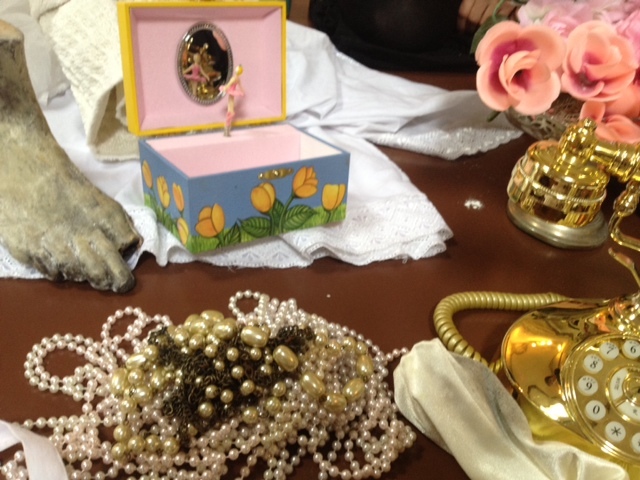 Gaitkrash (Bernadette Cronin, Regina Crowley and Mick O’Shea) brought a treasure trove of objects from their Cabinet of Curiosities, which emerged from the ensemble’s first collaboration in 2007. 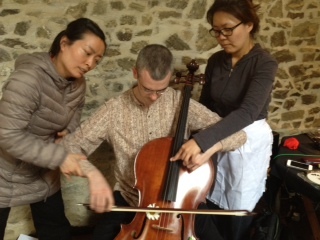 Phillip brought out various puppets, with which we explored agency and manipulation, prompting various instantaneous improvisations, where Sunhee and Jeungsook manipulated Adrian as he played the cello. Already, even after such a short period together, we are beginning to see possibilities for assemblage – content that has resonance and complicity – counter-point and dissonance. 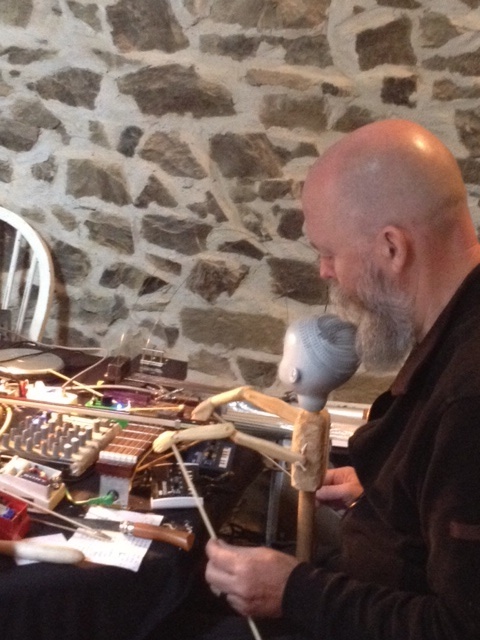 We begin to give names to sounds and combinations Mick and Adrian are making so that we may be able to identify and recreate them once we begin to montage. We could continue generating material forever, but already I am itching to put certain structures, texts, and physical scores together…. Diary of a collaboration. Day 2. Beijing opera. The theme tune for Father Ted. Adrian Curtin’s haiku. Korean traditional dance. Irish folk music. Bach. Cathleen ni Houlihan…. A second day of contrasts and diversity. 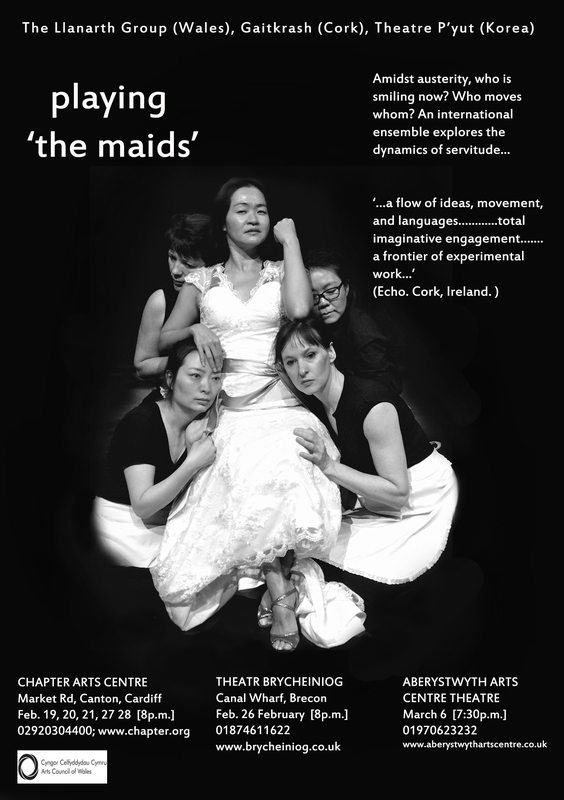 The gathered ensemble of Irish, Singaporean Chinese, South Korean and American practitioners unpack and display ideas, sounds, music and influences, informed by certain themes from Genet’s The Maids. 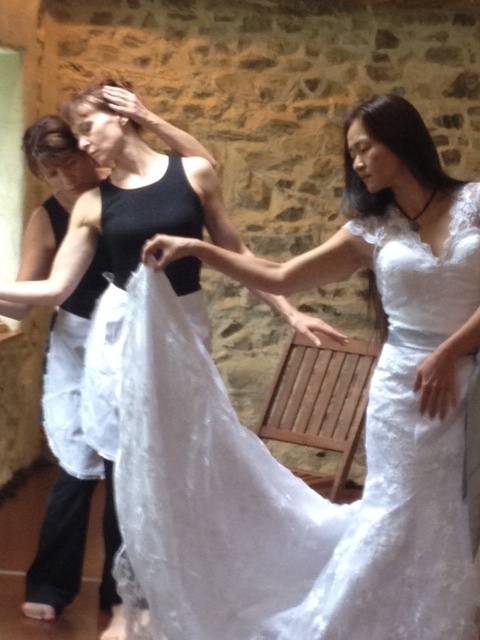 Jeungsook Yoo shows a courtesan dance from Korean traditional dance, Jing Okorn-Kuo sings the maiden song from Beijing Opera, Regina Crowley shares a Dolores Keane folk song…. all representations of a kind of ‘Madam’ – the beautiful, privileged one from our different cultures. 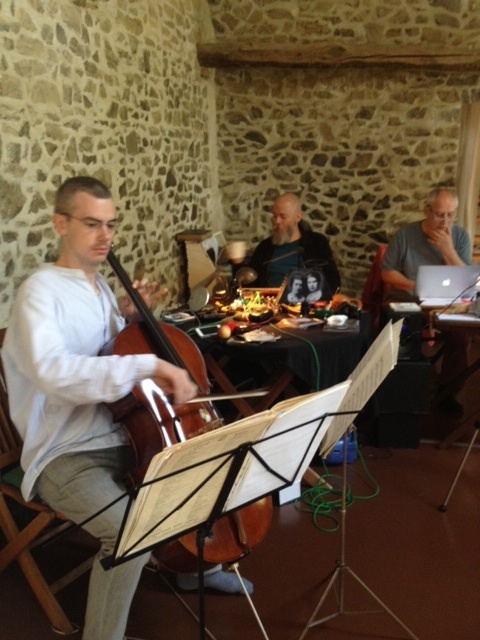 Again, I am astonished and thankful for the ease with which we collaborate. But it’s not by chance. 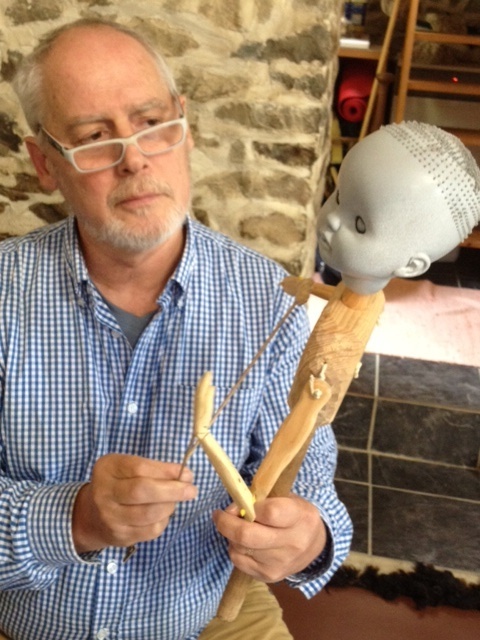 The shared vocabulary in the psychophysical approach to actor training which director Phillip Zarrilli has developed, using T’ai Chi and Kalaripayyattu helps. All five performers have trained with Phillip over many years. ‘It’s a mode of being, of operation we share,’ Sunhee Kim says.